Two developments critical to the future of the University of Leicester have received the go-ahead. The projects are part of the University’s £500 million estates investment programme and construction is due to start in the coming months. 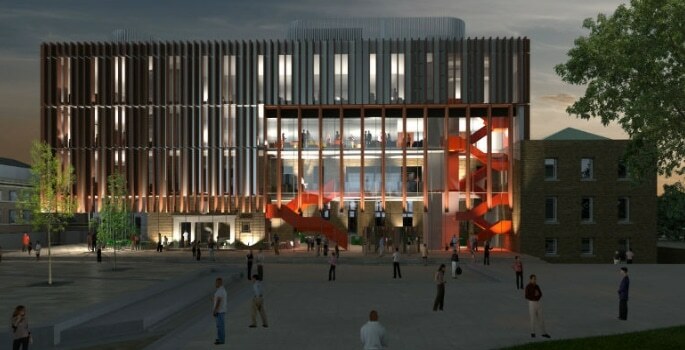 At its Brookfield campus on London Road, the University will deliver a significant renovation scheme to create a new home for its School of Business. The University of Leicester School of Business was established in 2016, bringing together the outstanding expertise in Economics and Management to create a world class business school. At the heart of the London Road site is the historic 19th Century Brookfield House, once home to Thomas Fielding Johnson who was an original benefactor of the University. The original house and stable blocks will receive a comprehensive renovation and upgrade to bring them back to their former glory. 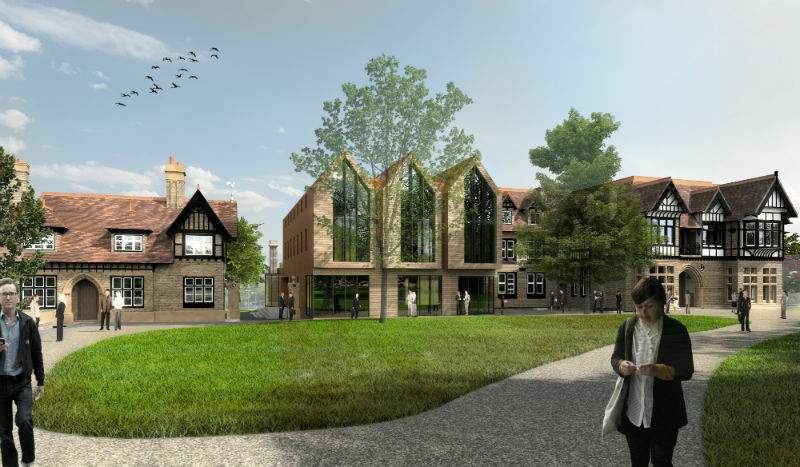 The University will also redevelop an extension to the main building to provide a brand new lecture theatre and seminar rooms, alongside a full scheme of landscape improvements. In a second project to receive planning approval, the University’s central campus will see the transformation and expansion of the Percy Gee building, which houses the Students’ Union. Enhancing the award-winning redevelopment of the building which was completed in 2011, this new expansion will house a state-of-the-art food court, social learning and multi-use facilities. The impressive new eastern façade will establish a direct link between the vibrant atria space and the newly completed Fielding Johnson Square. Construction is due to begin in March and April, with contractors still to be announced.